I am also in the evening of my rving life and trying to decide what I want to do. For now I will be rolling another year but during that rolling I will be accumulating my thoughts for when and how to change. It is not easy but eventually is needed. Best wishes on your choices made but at least we can back track if desired. It is nice to have options. Hi Barbara, I am in the same phase of life also. Can you elaborate on what made you decide to settle down? I know what a great rig this is and will pass on the info to possibly interested friends. ps...hi Barney! Hi Chris - I never planned to full-time forever. 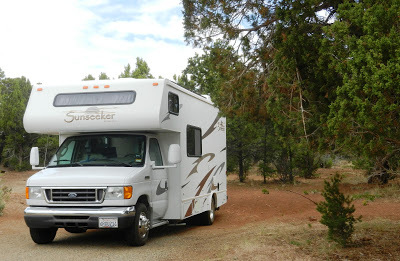 Lots of people do, but I started out after retirement with an open-ended mindset on RVing. I wanted to try it, I'd never RVed before, and it turned out I loved it. I think in my case it was just time. Seven years - aren't we completely different people every seven years? Maybe Katie getting sick and continuing to decline also helped me make the decision to settle down. It was hard to manage her issues on the road. But all in all I lived in The Palms longer than most houses I owned. I was really happy living in her in all the places we visited. If you can defer your decision until an entire year has passed since you moved into the house, I would suggest that you might want to do that. The thrill of the house and all it provides will become more commonplace as time goes on, and you may very well wish to see other places in your state for more than a month during the year. The key to your decision is how suitable The Palms is for comfortable traveling if/when you want to go away for a couple of weeks or months at a time. Since the unit is so perfect for you, you might find yourself wishing to utilize that annual pass to visit other parts of your now-home state in comfort and style for say, a week at a time; just a little break in routine. Since she is right outside your door, the prep and return chores can be spread over a few days. Charlie will soon be happy enough to go with you in such a vehicle, and you will be able to show him so many new things. And you will always feel you have a place to be comfortable while getting away from your everyday routine. In short . . . please be sure that you will not truly wish you could "get away from it all" once in a while, and have all the comforts of home to enjoy while you do just that. What would be your alternative to The Palms if you DID find that you wanted to travel around your state a bit more? Sniff... It’s the end of an era, but I'm sure you will make the right decision. We moved into our new house on October 31 and are sure loving it. We haven't had much interest in camping right now, but we know we will when the newness of the house wears off. We decided to buy a small travel trailer so that we wouldn't have another engine to maintain. It is small and easy to tow and fits anywhere. Maybe that would be an option for you at a later date if you feel the urge to travel some. Good luck on the sale of the Palms. We are in our 13th year full-time and so glad that we actually got to meet you. You can sell her now and when you get that travel itch again purchase another rig. Friends of ours visited yesterday They sold their 45ft class A coach purchased a home in Yuma and a small class B that they call their escape pod for when they want to get our and about. Good luck. When I looked at your empty spot in La Posa South I knew something was happening. Like you said there comes a time we must all make that decision. Good Luck with the Sale but hope that you keep blogging even short posts. You did leave your mark and hopefully we can say the same. The longer we sit here in California taking care of Mom, the less we want to travel again. For now, living in our RV makes the most sense, we could never afford a house here in CA. Good luck on your decision to sell. You look so happy! oh dear, an end of an era, but you said it SO well... Wish you all the best!! 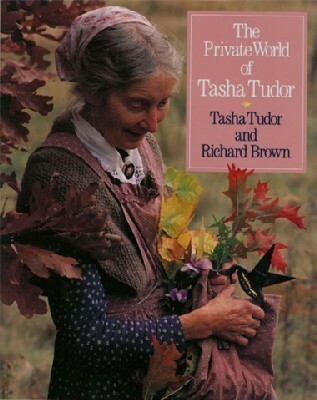 Grew up with Tasha Tudor.. my mother loved her and her paintings/drawings... so very wonderful!! Barb, we experienced the feelings you describe as we processed the decision to exit our full-time life in 2016/2017. Settled in our 55+ community since April 2017, we know we made the right decision to sell our rig when it was still in great shape and transition to a new lifestyle. The memories of those 7 years are cherished ones and, boy, do we have stories! We do still take road trips, and I have to say while I enjoyed towing our 5er, it's so much easier without that 40 feet of rig behind us! I know you'll make the best decision for you and Charlie, and I wish you all the best! I decided in 2016 that it was time to settle into a house so sold the motorhome a week later.Never once have I regretted my decision.The time to sell is when the RV is still running well.There are plenty of choices if you should decide to travel in the future.Best wishes to you & Charlie! Best of luck in your new house. 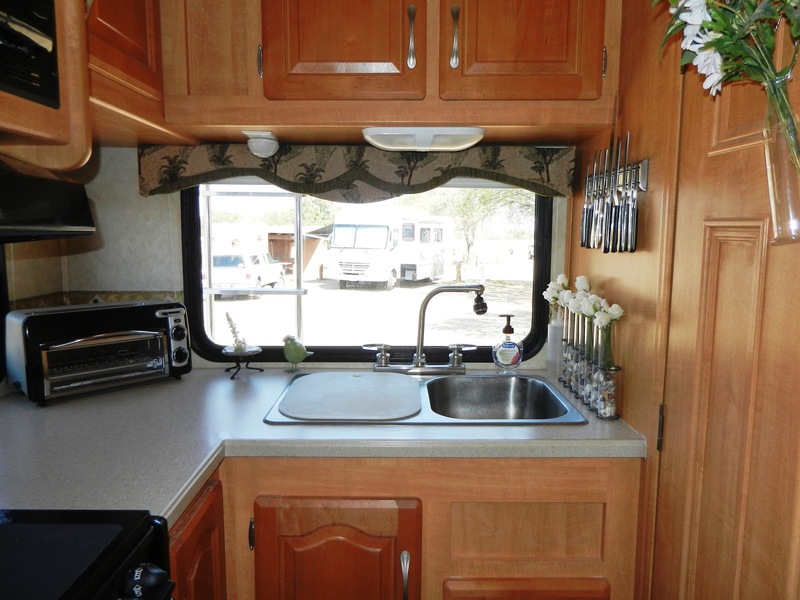 Would you still be interested in writing about RVing? We would love to have you as a contributor on Do It Yourself RV. Please feel free to email me at editor@rvlife.com. Thank you!